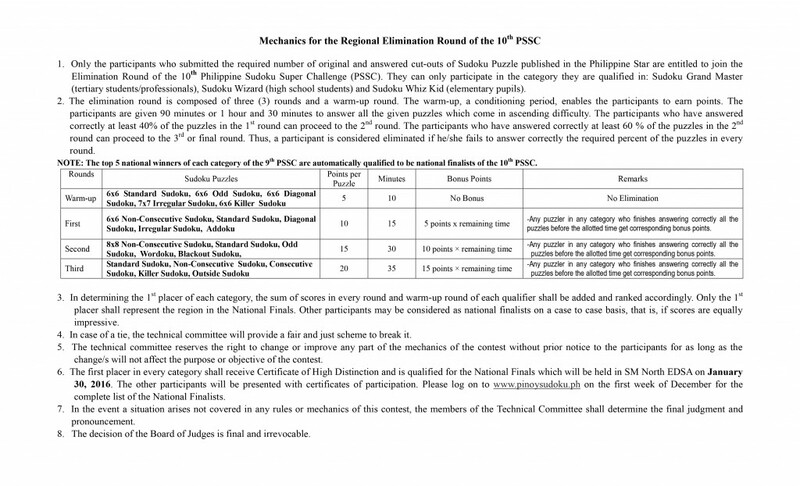 Here are the following venue for the 10th Philippine Sudoku Super Challenge Elimination Round tomorrow, October 17, 2015. NCR Area – SM City Marikina. This entry was posted in Announcements, News article on October 16, 2015 by admin. Practice set will be posted soon. This entry was posted in Announcements, News article on October 7, 2015 by admin.